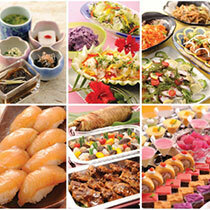 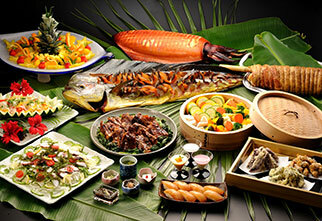 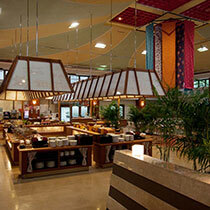 Churashima offers expansive and comfortable atmosphere featuring eclectic buffet that comes with 80 kinds. 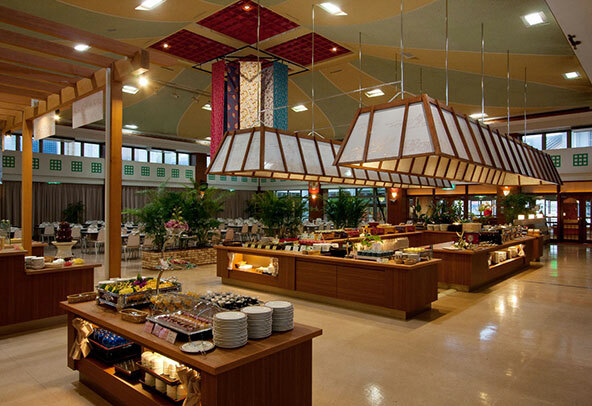 Up to 560 people can be seated.This restaurant highlights the nutrient style buffet with use of local fresh vegetables & herbs, fresh fish and other Okinawan ingredients. 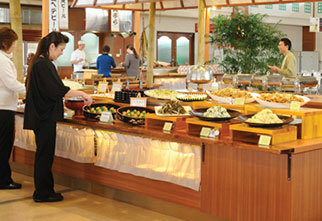 Space for kids, Japanese tatami floor as well as wheelchair accessible.